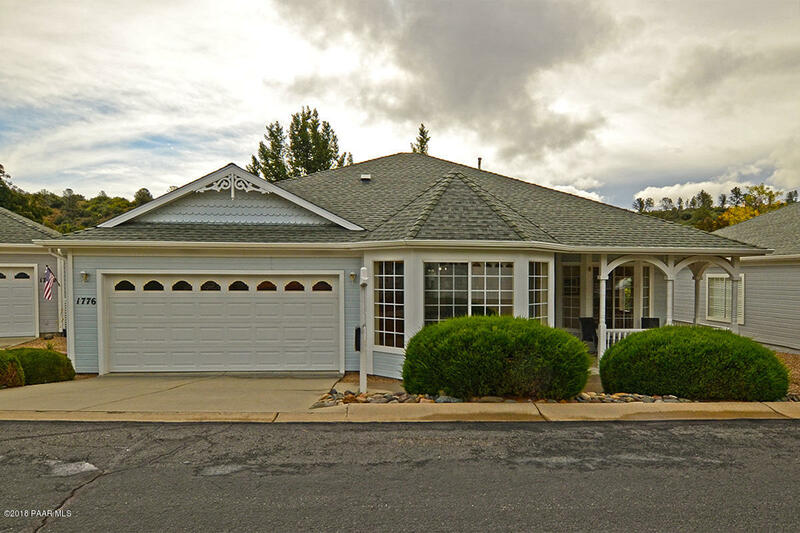 All Victorian Estates homes currently listed for sale in Prescott Valley as of 04/23/2019 are shown below. You can change the search criteria at any time by pressing the 'Change Search' button below. "This charming King-George (Expanded) home in Victorian Estates has been completely renovated throughout. 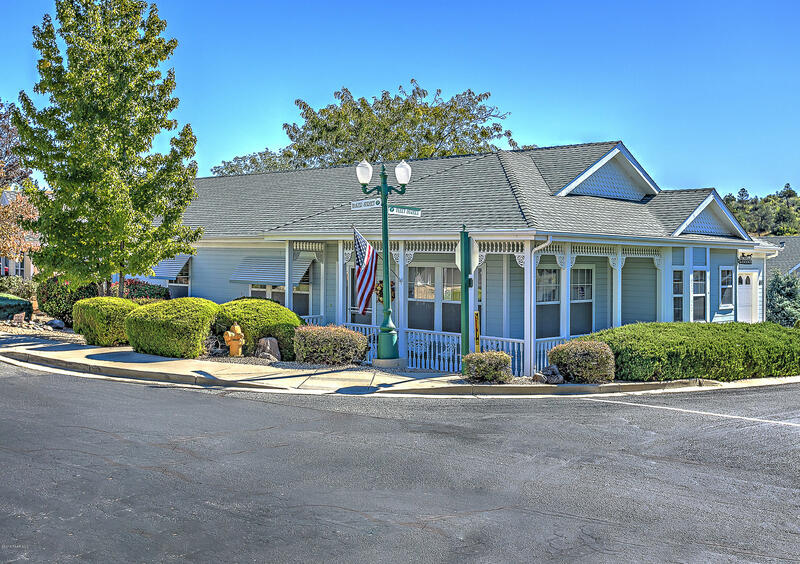 The key improvements include: HVAC units replaced, all new flooring throughout, renovated bathrooms including tiled shower and bath areas, renovated kitchen including all new stainless appliances, complete interior painting, newer roof (2016), all new fans and lighting fixtures.House features access to covered patio from family room and master bedroom. Victorian Estates is centrally located b"
"Be charmed by an inviting wrap-around porch w/Victorian detailing, railings & balusters, an ideal shady spot, greet neighbors passing by.A favored ''Duchess'' design offering open Great Rm plan w/ 9' ceiling, extending to a den area and office space beyond. A true separate Dining Room w/ 4 large corner windows w/ views of the surrounding neighborhd & great natural light. Crown & fluted moldings, wooden window sills add those special touches. Spacious kitchen has bay breakfast nook space, all "
"Light airy home w/ neighborhood & hillside views, spacious Great Rm w/4 big windows. Large island kitchen w/ breakfast nook. All appliances included. Living Rm PLUS Den w/ built-in cabinets, double doors. Master Bdrm suite, 2 walk-in closets, garden tub, glass block window. Powder Room, pedestal basin. Charming wrap-around porch, wood railings & balusters, Victorian detailing. Great storage. Covered patio w/ceramic tile pad, shed; easy care landscape. Fluted & Crown moldings, wood sills. 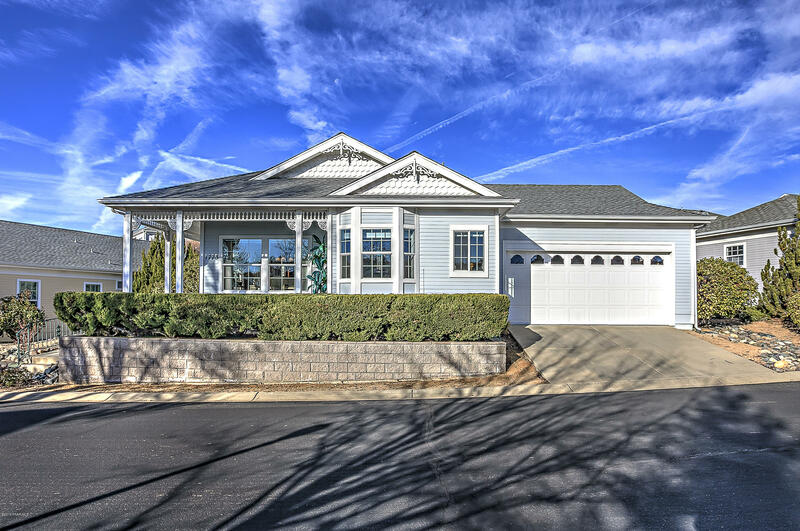 Custom"
"Absolutely charming home in one of the Prescott area's most desired 55+ communities:Victorian Estates. This lovely cottage features a lg. covered front porch reminiscent of an earlier time. Enter to an open floor plan with high ceilings featuring a kitchen, dining and living concept fronted by a light, bright office/den or 3rd bedroom. 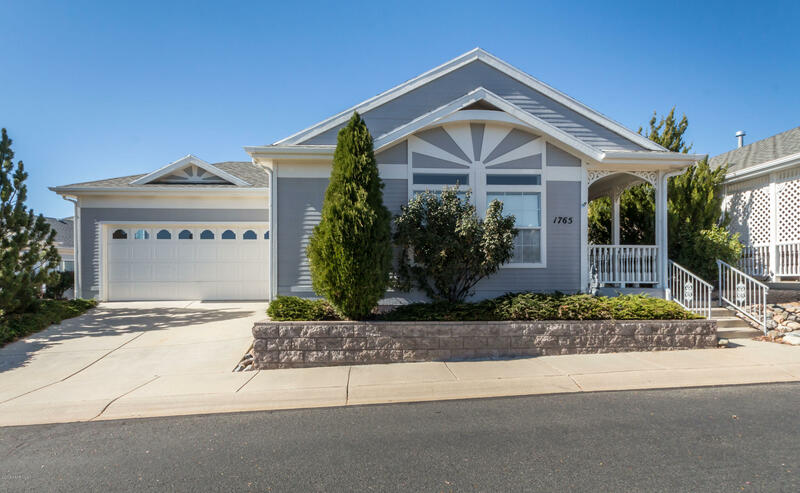 The home features 2 additional spacious bedrooms, a laundry rm w/utility sink, a full bath and a luxurious master bath w/walk-in closet. Walk out onto covered pat"
"Beautiful home in Victorian Estates 55+ community. 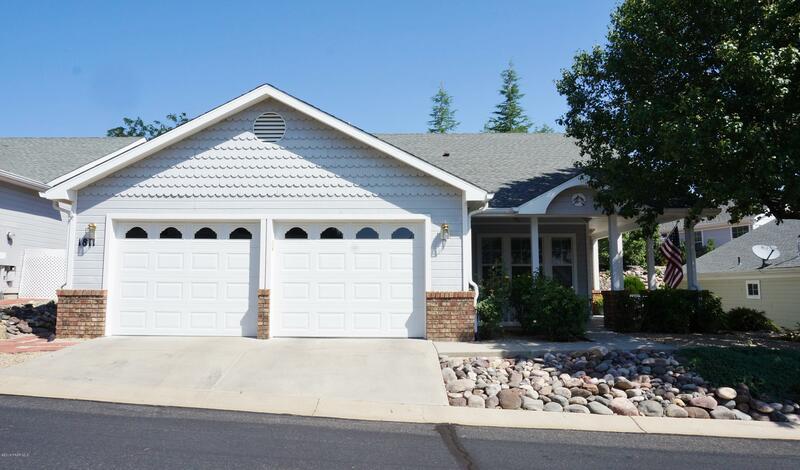 Three bedrooms 2 1/2 baths two car garage. New kitchen cabinets and counters. New flooring throughout. All water supplies replaced from Polyethylene to Pexs. Clean and ready to move in. Lots of storage. Walking distance to the clubhouse. Close to shopping. Beautiful covered patio off the kitchen with privacy roll up shade to enjoy the day. Great views. Extra parking with permits from HOA." 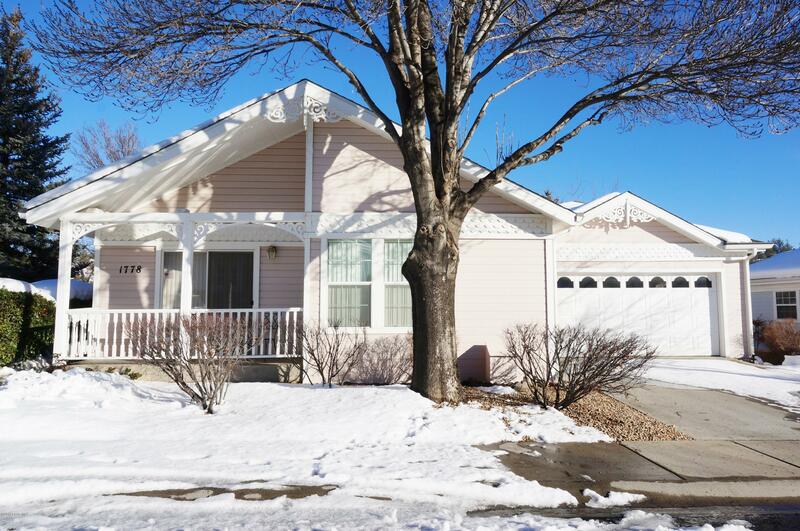 "Charming home with great location in 55+ Community.2 Bedrooms,2 Baths, open floors, den, and laundry room. Surrounded sound with speaker through out the home. Furnace was replaced in 2011. Roof was put on in 2014. New water heater in 2017. New gutters with toppers. New paint outside.Sun screens on the west side of the home. Arizona room is enclosed with windows and sliding door to outside. Nice side yard to enjoy."